The latest release of Darktable photo workflow software 2.2.5 now is available as Snap app for Ubuntu desktop. The Darktable snap app bundles most of the required libraries and runtimes. So you can run the latest Darktable 2.2.5 in Ubuntu 14.04 though the stable PPA does no longer update for it. 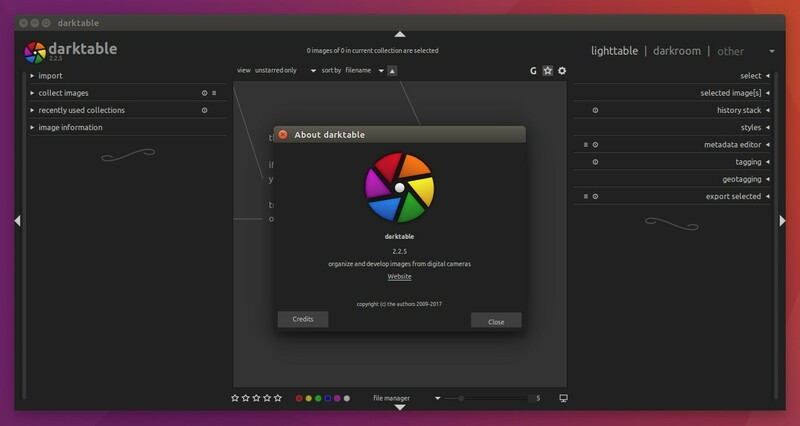 And all other current Ubuntu releases, Ubuntu 16.04 and Ubuntu 17.04, can install Darktable snap app without affecting the rest of the system. 1. For Ubuntu 14.04 only, open terminal via Ctrl+Alt+T or from app launcher. Then run command to install snapd daemon. Hi, I have the same problem. Have you been successful and solved it?